Should I Check My Children's Social Media? Every night, parents and children enter into a silent, merciless battle: Your little one takes their covers off, and you, the parent, cover them back up again. Together you create a viscous cycle that lasts all night long while you all try to get some rest. Without a doubt, this is a tiring battle where parents fear the possible negative effects the cold could have on their child during the night. Because no matter what you do, your child always wins the battle – meaning he spends the night lying on top of his sheets without any covers. Your little one’s pajamas aren’t enough to keep her warm, so you turn to blankets, quilts and bed spreads, which all end up at the foot of the bed while your child is fast asleep on the opposite end, belly exposed. So, how should we react when our children refuse to stay covered up? What can we do? Why do children take their covers off? This is a fundamental question, especially before we take these cover-up methods to the extreme. Of course, your child surely takes their covers off because he’s hot underneath all those layers. Remember that children tend to feel less cold than adults during the night. Therefore, adding blankets doesn’t make him feel more comfortable; it makes him feel smothered. Taking this into consideration, the first step is to observe your child before you start getting anxious because she’s not covered up. Look at her skin, her hair; touch her pajamas around her back, and touch her pillow. Are they wet? It’s important to observe if your child is sweating and find out if she’s really as cold as you think. Also, did you know why children get that barking kind of cough sometimes? It’s not due to the cold, actually. Rather, it is produced as a result of being too hot. It’s no surprise that the quick fix for that kind of cough consist of taking your child out for some fresh air to reduce the swelling of his vocal chords. 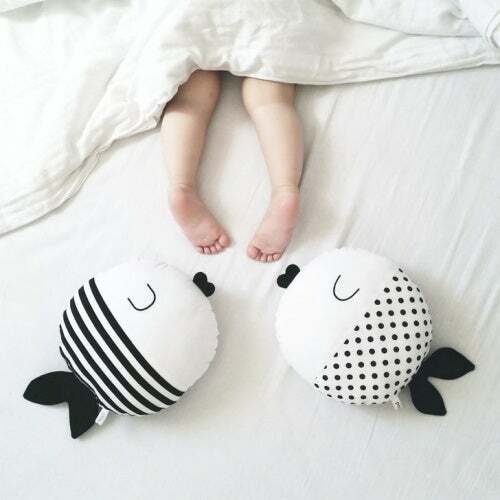 Also remember that children have a very active sleep pattern, which means they tend to move around quite a bit in their cribs or beds because they weigh very little and they fit in practically any direction. 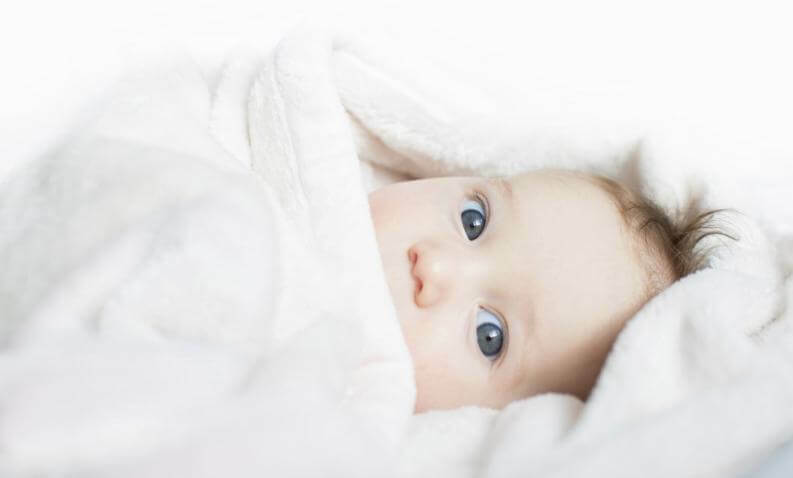 While tossing and turning, it’s very unlikely that your child will stay covered up all night long. Lastly, your child might be taking the covers off while she sleeps due to the simple fact that she doesn’t feel comfortable with her super warm pajamas under a heavy load of blankets that bind her, weigh her down, and also make her sweat excessively. Don’t go overboard with blankets. You shouldn’t bundle up your little one too much because this will cause her to sweat, and then she will move around until she manages to free herself from the blankets. Also remember that during the first sleeping phase, children tend to sweat, and you definitely don’t want your little one to sweat and then get a cold. 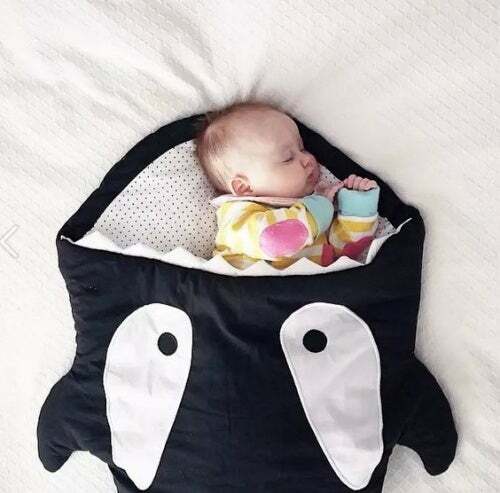 Cover your child with just the right amount of covers for the first phase of sleep. It’s not a bad idea to lay your child down on the bed with no covers at first. Once he’s already sweated, then you can cover him up as needed. How about not covering your child up at all? This is an excellent but somewhat unusual option for very restless children who take their covers off no matter what. Of course, make sure beforehand that their pajamas are warm enough to rest on top of the sheets without getting cold. This way, you’ll prevent her from kicking off the covers and suffering any abrupt temperature changes. In the case of restless babies, your can turn to the old sleeping bag trick. That way, your child will have no escape route. There are also special sleeping bags for older children that leave their feet uncovered so they can move easily and be more comfortable. Look on the market for products that can help you. You might discover alternative techniques that are highly effective in keeping your child from removing her covers during the night. For example, there are clips that are similar to those that keep sheets in place, or you can find blankets that are similar to sleeping bags. Large fitting blankets; a great strategy. Another option consists of placing bedspreads or blankets that are larger than the bed and tucking them between the mattress and the bed frame. Tuck in the excess material on both sides in order to keep your child tucked in tightly so he can’t become uncovered.